NSFA, Panacan, Davao City – An Educational Tour was conducted by the Philippine Army Officer Candidate School here in Naval Station Felix Apolinario, Panacan, Davao City last September 25, 2017. 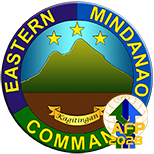 The tour which was composed of students of the Philippine Army Officer Candidate Course Class 49-17 visited Eastern Mindanao Command to be oriented with its combat strategies, accomplishments, and assets to win the peace in its Area of Responsibility. 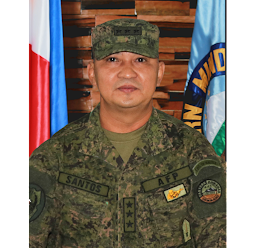 The group of future Army officers who was led by Colonel Noel Detoyato was received by Lt. General Rey Leonardo B. Guerrero, Commander of Eastern Mindanao Command and was afterwards given information briefing and tour around Naval Station Felix Apolinario.